“IT’S very important that Sidney has seen death. That he knows death. Author James Runcie, son of the late Archbishop of Canterbury Robert Runcie, talking about his creation Sidney Chambers. 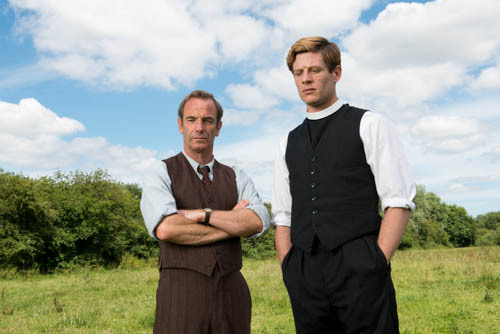 Grantchester is a new six-part series starting on ITV at 9pm on Monday (October 6). 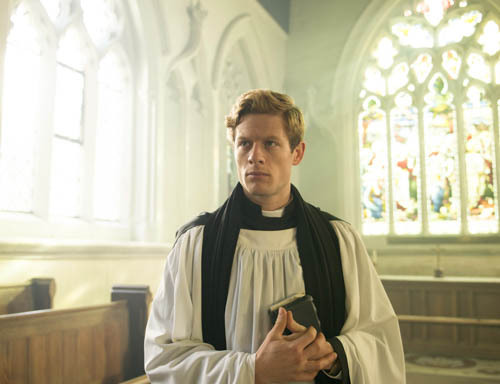 Starring James Norton as Sidney. Totally transformed from his no doubt future award-winning role as psychopath Tommy Lee Royce in BBC1’s Happy Valley. 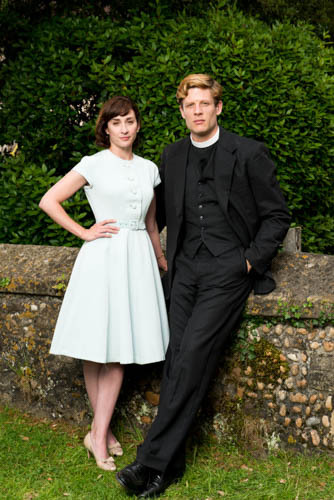 At first glance Grantchester may appear to be a comfy chocolate box drama. 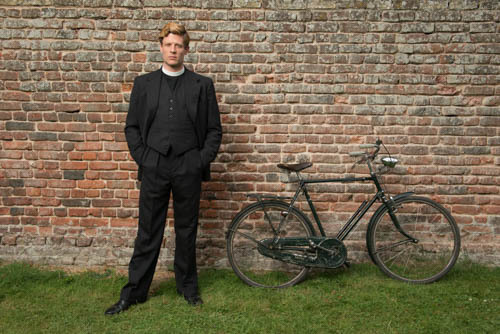 Featuring a 1950s’ vicar on a bike pedalling past lots of lovely backdrops. And there are certainly elements of that. 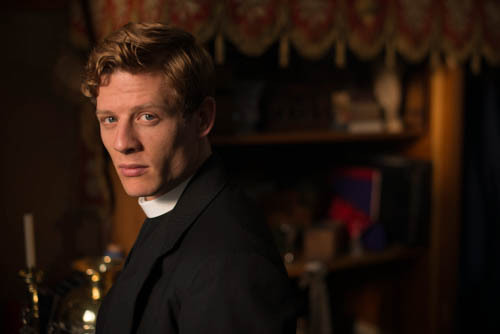 But keep watching and Grantchester may surprise with the darkness of both Sidney’s past…and his present. Together with some complex moral issues in among the crimes of passion. Screenwriter Daisy Coulam has done a fabulous job with the scripts. 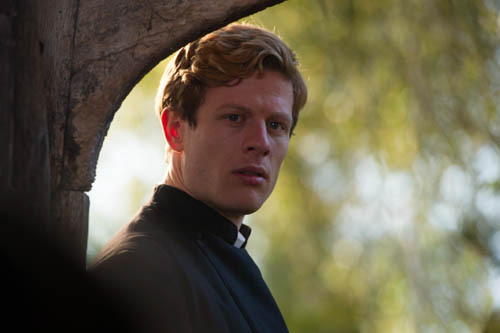 Based on James Runcie’s first novel in The Grantchester Mysteries’ series: The Shadow of Death. With a sparkling cast drawing us into a totally believable world. 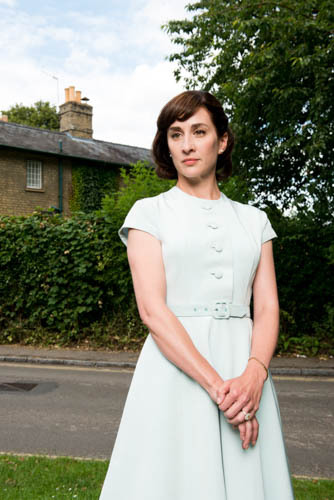 But perhaps best you read my interviews for ITV in the Grantchester press pack, which posh people call production notes. 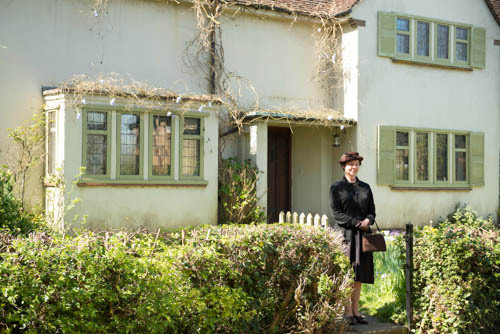 I had the pleasure of talking to Morven Christie (Amanda Kendall), Tessa Peake-Jones (Mrs Maguire) and Al Weaver (Leonard Finch) on location during filming in Grantchester. 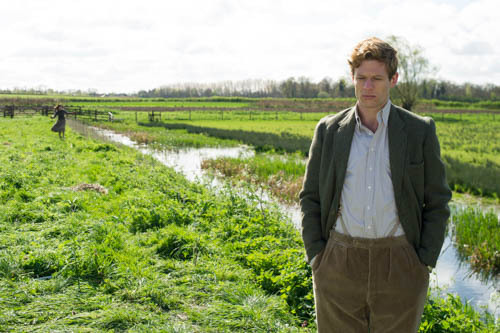 Watching James Norton at work in the Cambridgeshire village before chatting to him at length later in London. 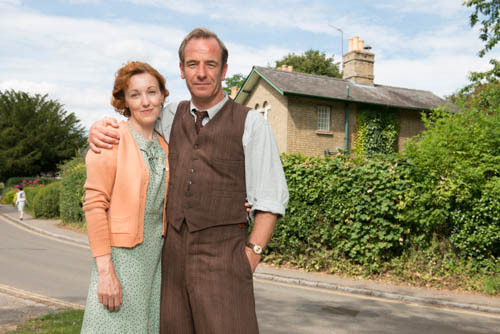 Where I also caught up with Robson Green (Geordie Keating) and James Runcie. And feel free to scroll down this page to see more photos of the cast, taken by Patrick Redmond. Not to mention playing with all the videos. You might think I am biased, having written the interviews for ITV. 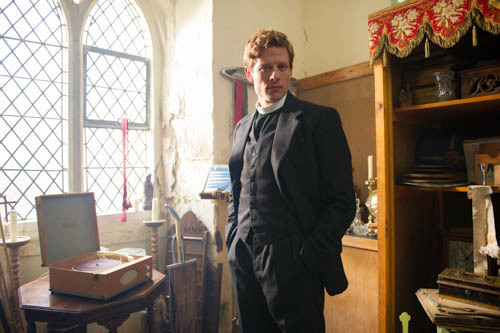 But I really do think there is something rather special about Grantchester. The interviews in the PDF link above are well worth a read as all involved had some fascinating things to say. 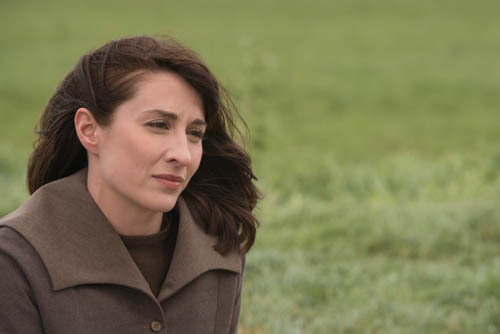 Morven Christie as Amanda Kendall. 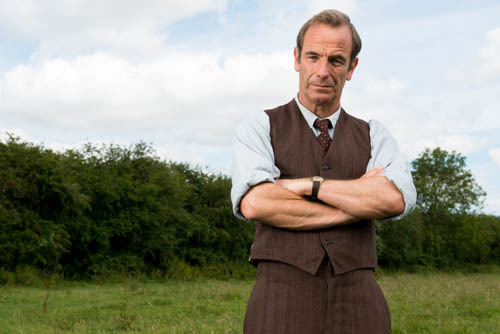 Robson Green as Geordie Keating. 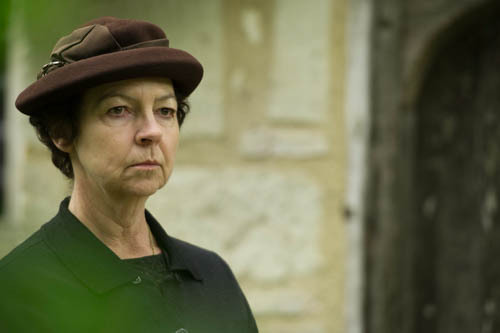 Tessa Peake-Jones as Mrs Maguire. Al Weaver as Leonard Finch. 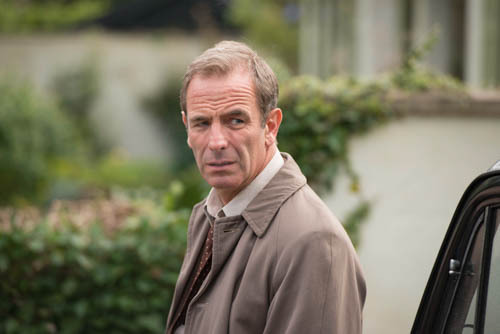 Kacey Ainsworth as Cathy and Robson Green as Geordie. 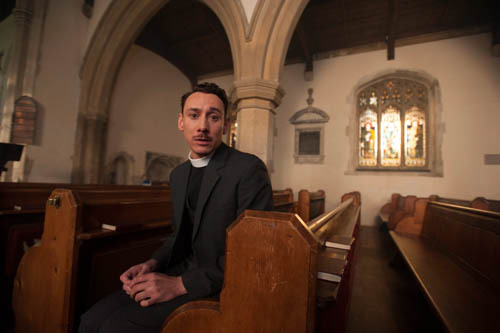 Posted in News and tagged Al Weaver, Archbishop of Canterbury, Daisy Coulam, Diederick Santer, Grantchester, ITV Drama, James Norton, James Runcie, Kudos, Morven Christie, Robert Runcie, Robson Green, Sidney Chambers, Tessa Peake-Jones. Bookmark the permalink.